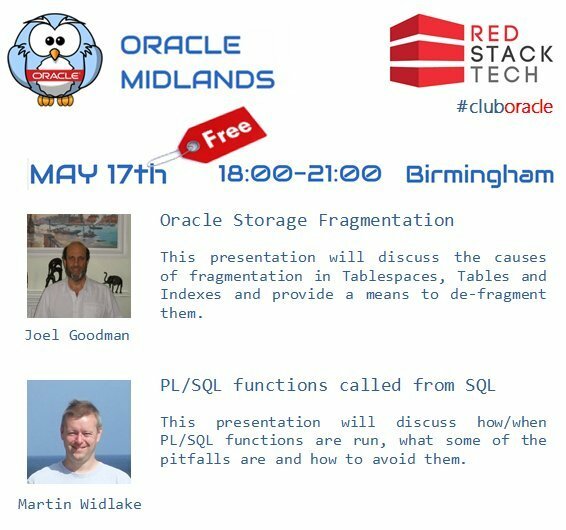 Last night was Oracle Midlands Event #16 and we were lucky enough to get Jonathan Lewis for the third time. 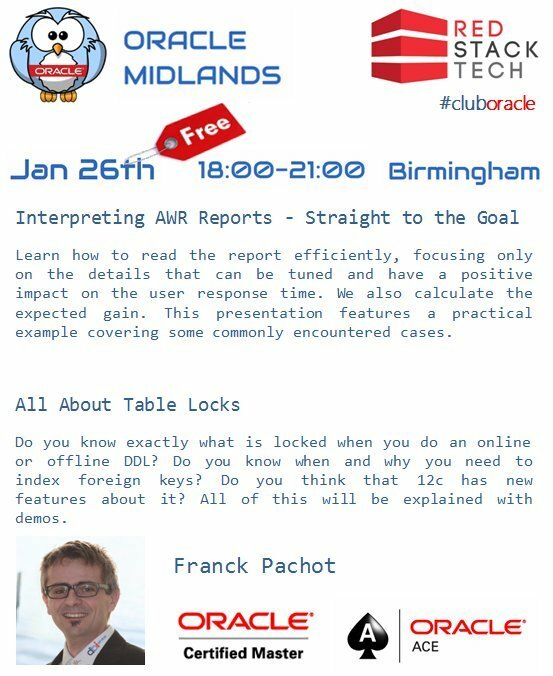 I think he now holds the record for the most presentations at Oracle Midlands. 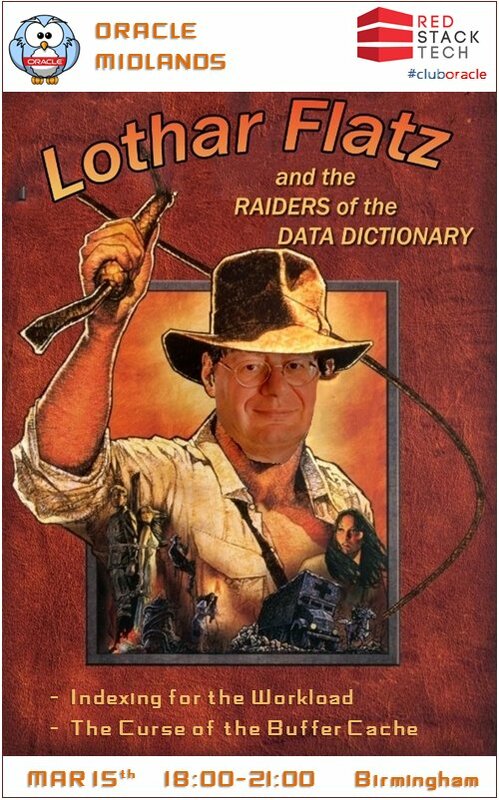 Both his sessions were on indexing. The first session was really a general session about B-Tree and Bitmap indexes. What they are. Where they are not. Ways to reduce the number of indexes or avoid indexes entirely etc. It started with some basic information, almost like a primer, then worked on through to some more complicated stuff. Jonathan encouraged questions as he went along, and he got plenty. I got a lot out the these sessions. I asked a lot of questions and got to clear up a bunch of things in my head. I tend to mostly work on OLTP systems, so there is a lot of warehousing stuff where I don’t get a lot of practical experience. Knowing the theory and actively using it are two very different things, so it’s good to have an opportunity to get direct answers like this. Thanks to Jonathan for coming to speak to us. 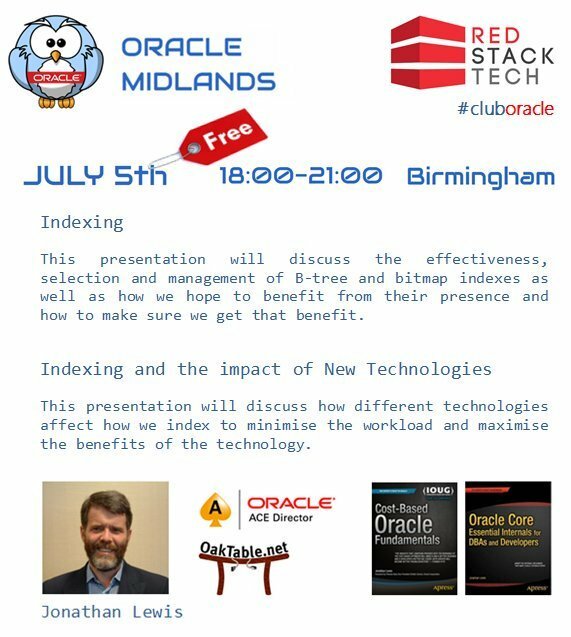 Thanks as always to Red Stack Tech for sponsoring the event, allowing it to remain free, and to Mike for organising it! 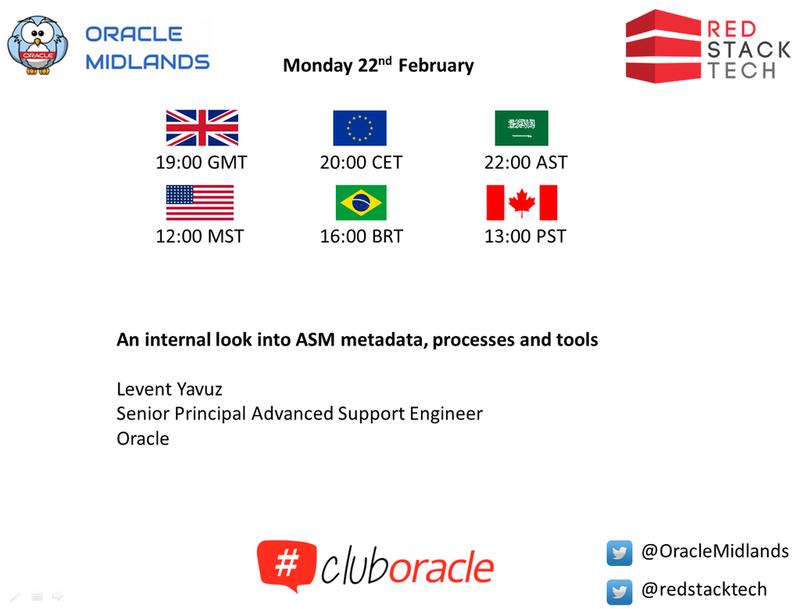 Tomorrow is Oracle Midlands Event #13. Franck is a super-smart guy, so please show your support and start the year as you mean to go on!